Down in Price - Up in Volume. The Rear Box Delete Pipe for the Fiesta from Milltek Sport makes the selection of your Milltek stainless Steel Exhaust very simple. If you want full power and full noise the Supersport System is the one you need. Should i choose the additional silencer ? The Extra silencer will take the edge of this NEW Supersport System, we would advise this extra silencer for certain noise restricted track days and for use with the decat pipe. A decat has the affect of amplifying the exhaust note making any exhaust system louder . 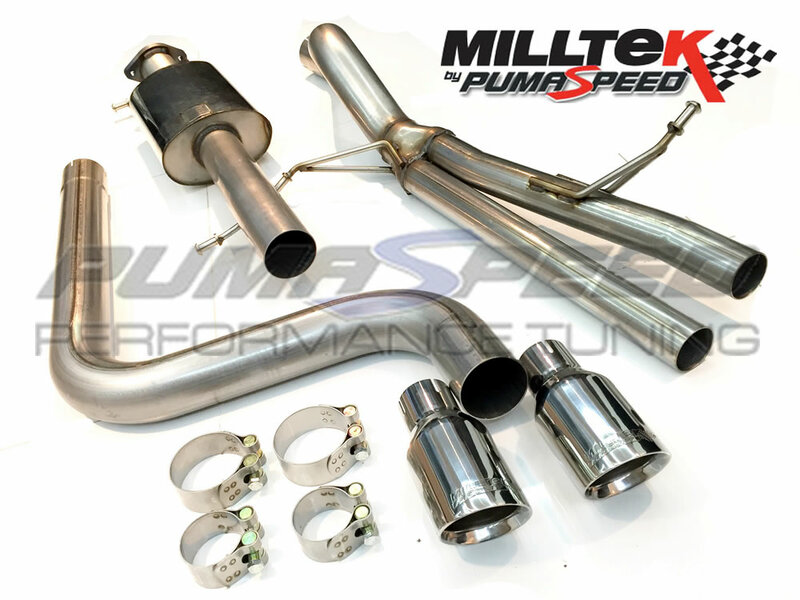 Get ahead of the game with Pumaspeed, the Home of the Milltek Sport Exhaust System. The Pumaspeed Workshop team are ready to fit the *SPECIAL OFFER* Milltek Fiesta Mk7 1.0 Supersport Exhaust in our Head Office located here. Therefore making parts and labour a total cost £458.45 (inc. VAT). Pumaspeed have a specialist distribution team that can dispatch the *SPECIAL OFFER* Milltek Fiesta Mk7 1.0 Supersport Exhaust to any destination worldwide.